A few weeks ago I opened up my Instagram to an unexpected message from ProClip. 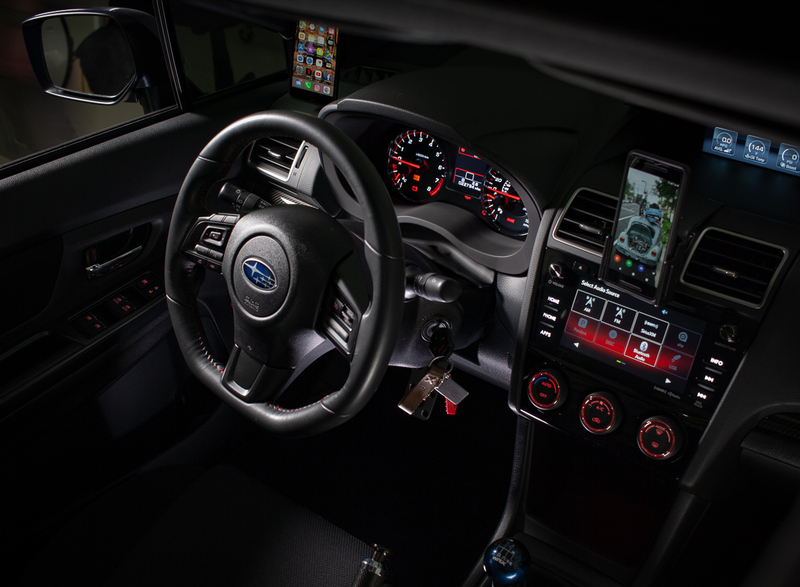 It read: “Would you ever be interested in driving down to our headquarters in Madison, Wisconsin for a photoshoot of your car?” Having wrapped up my review of their phone mounts just a few days prior, I couldn’t turn down the opportunity! That next Friday I was on the road to Madison bright and early. I wasn’t quite sure what to expect, but needless to say I was excited to learn more about the company and the people that work there. 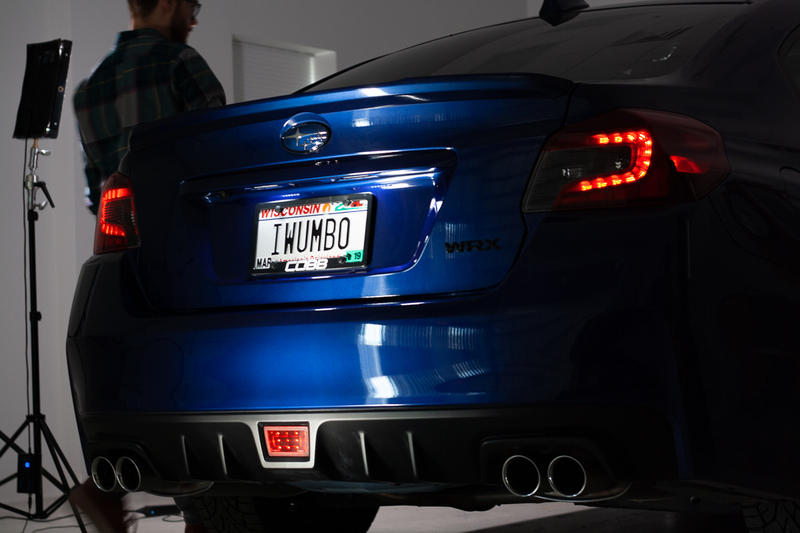 A professional photoshoot of the WRX was just the icing on the cake! Upon arriving at their office in Madison, I was surprised with how big the building was! I’d soon come to discover why - the Madison, Wisconsin headquarters not only serves as their administrative offices but is also their primary distribution center for the United States. I was greeted at the door by Cody, ProClip USA’s Social Media Specialist, who walked me around the offices and introduced me to the various staff including Will and Chris - the masterminds behind ProClip USA’s media content. 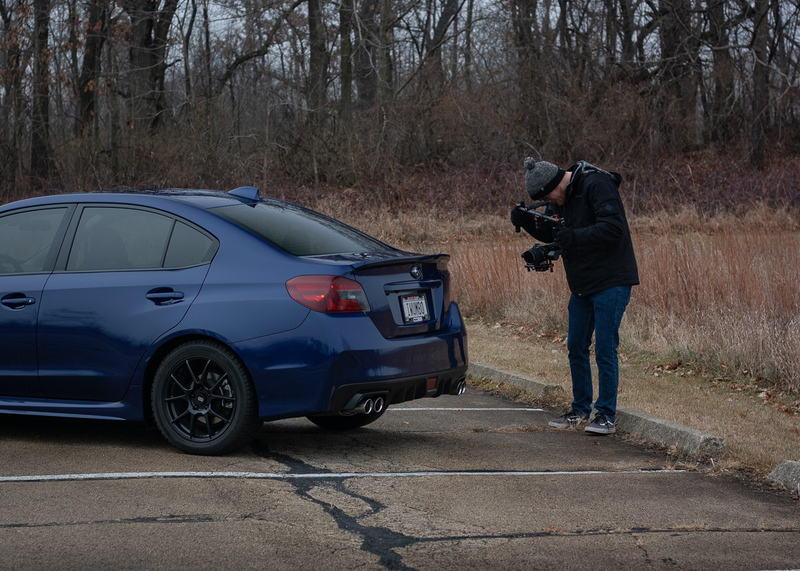 Both guys are wildly talented and a quick look at their work was all that I needed to know the WRX review was going to be something special! As we wrapped up the tour of the office, I was struck by how clean and organized everything was. For such a small operation (there’s only about 30 employees on-site), the attention to detail in their warehouse alone was impressive! In spite of a huge variety of inventory, everything was neatly labeled and easily accessible. The entire warehouse/shipping area was like a well oiled machine! Even the media room - typically a place you’d expect to piles of props, rigs, equipment, and other miscellaneous stuff - was well organized. In addition, everyone I interacted with throughout the tour was very welcoming and seemed genuinely excited about their jobs! With the tour complete, Will, Chris, and I packed up the camera gear and headed out to scout potential shooting locations. 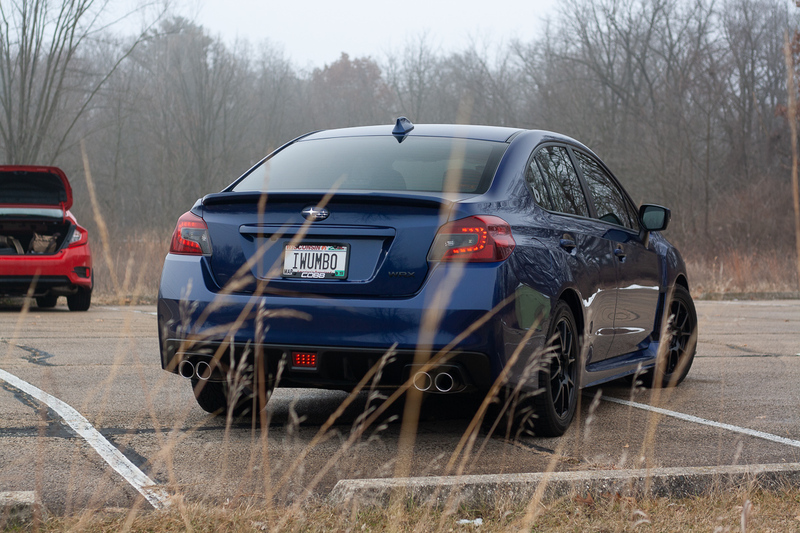 We eventually settled on a nearby state park which, believe it or not, in early December was pretty deserted. 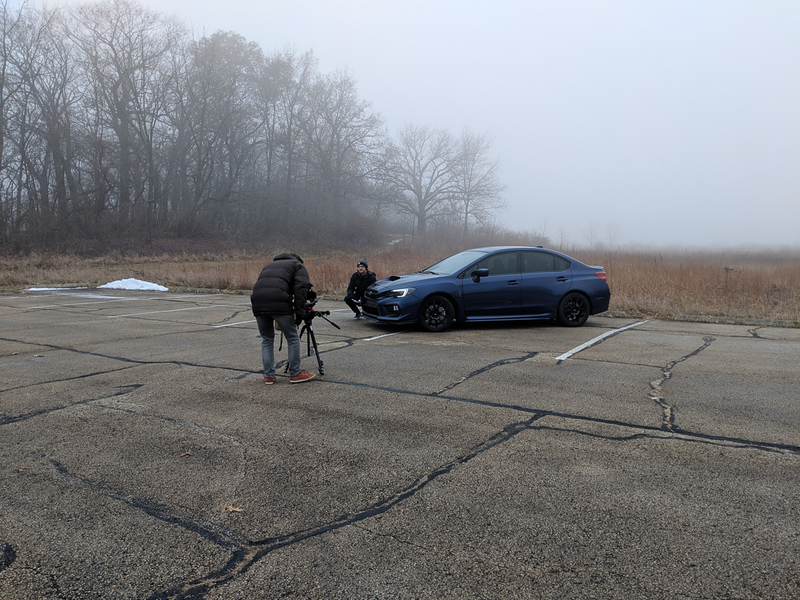 As we got deeper into the park, the light rain let up and a dense layer of fog in the field behind us, which got us all the more excited to start shooting! As Will and Chris set up their gear, I snuck around grabbing a few “behind the scenes” pictures. 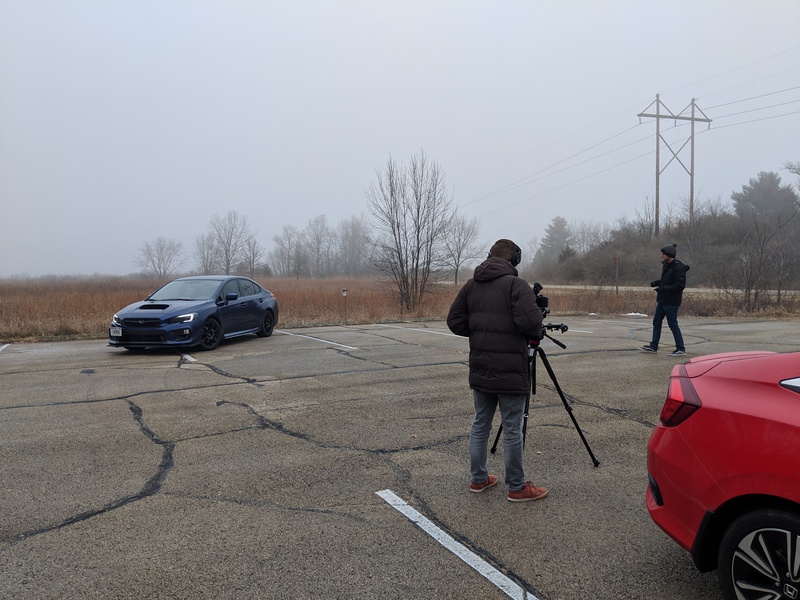 Even though car reviews are relatively new territory for the ProClip team, I was really impressed with how well prepared they were! Chris had a great script put together and only needed a few tries to get each take while Will was a multi-tasking machine; in charge of the camera and capturing audio simultaneously. 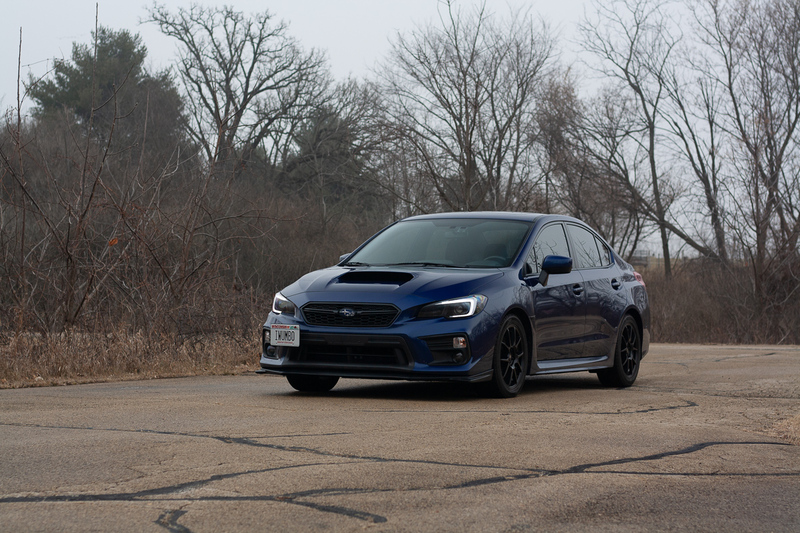 Next, we packed up the gear and cars and I followed in the WRX as we set off down the empty park roads for some rolling shots. 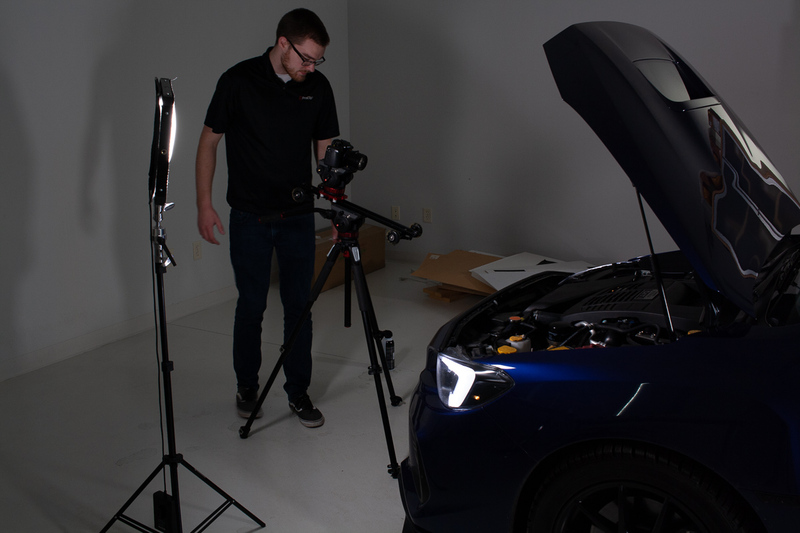 In spite of the Civic’s rear window doing its best to cut him in half, Chris was remarkably patient and steady as he directed me down the road - holding the gimbal one-handed out the window the entire way! 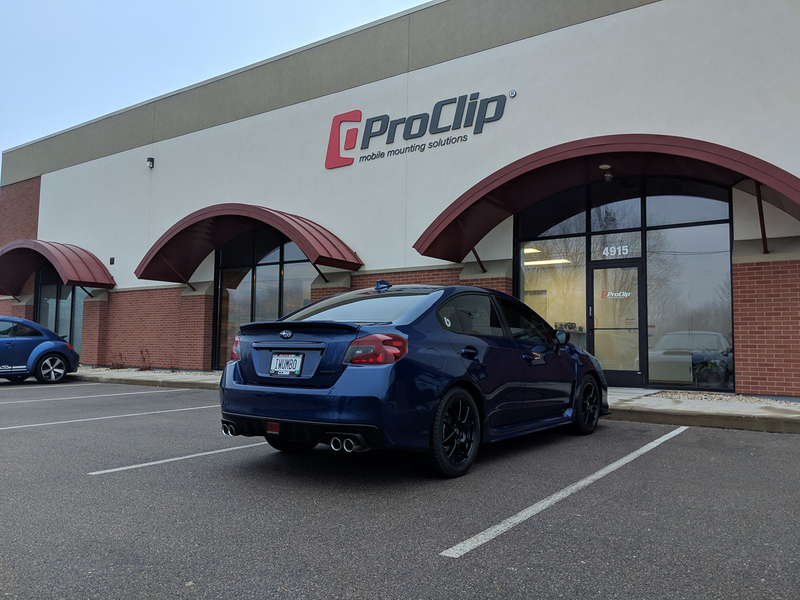 Once the rollers were done, we headed back to the ProClip office to prep for the driving review. I have to admit - this was the part I was most nervous for; not because I didn’t trust Chris or Will, but because I hate being on-camera. Honestly though, Chris did an amazing job of keeping the conversation flowing, and the whole thing felt super natural! 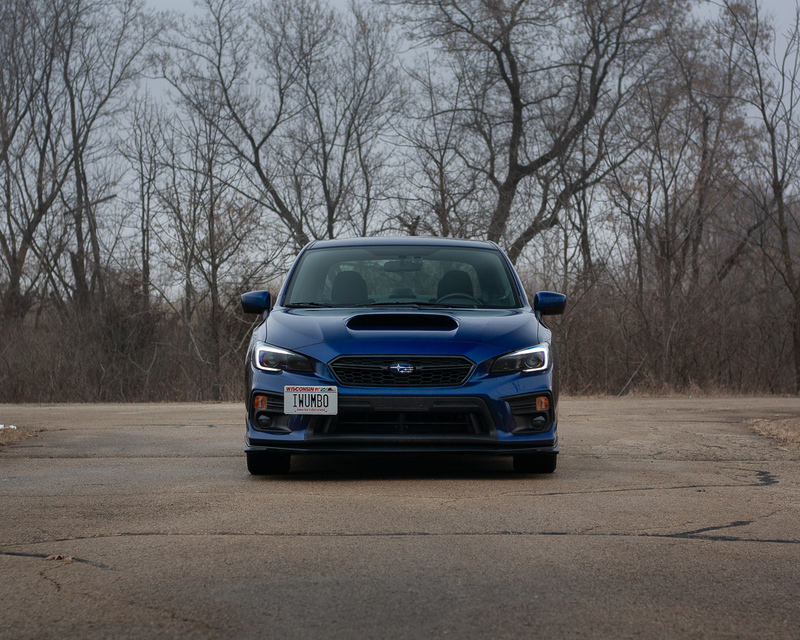 It was really cool to be able to share my history and talk about the blog with another car guy! 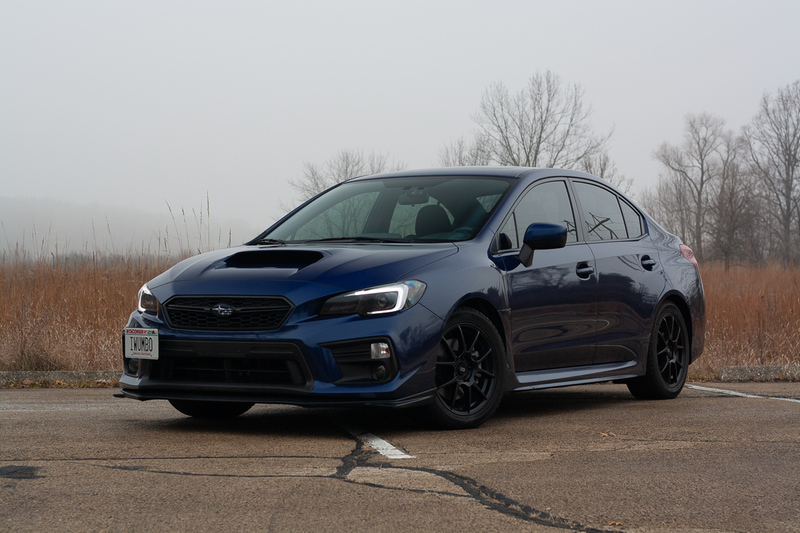 Having seen his review of a 500+ hp Range Rover, I didn’t expect Chris to be blown away by the WRX, but I was impressed that he picked up on a lot of the nuances and things I love about the car in his short time behind the wheel. Not to mention he got the hang of the notoriously stubborn transmission almost immediately! With the in-car review complete, we headed back to the office to regroup and grab some lunch. Once again, I did my best to sneak around and photograph some behind the scenes stuff, asking tons of questions all the while. Huge props to Chris and Will for their patience with my endless stream of questions, especially towards the end of such a long day! Overall I had an absolute blast working with the ProClip USA team! The headquarters is awesome, and everyone I met was super professional and seemed passionate about their job! 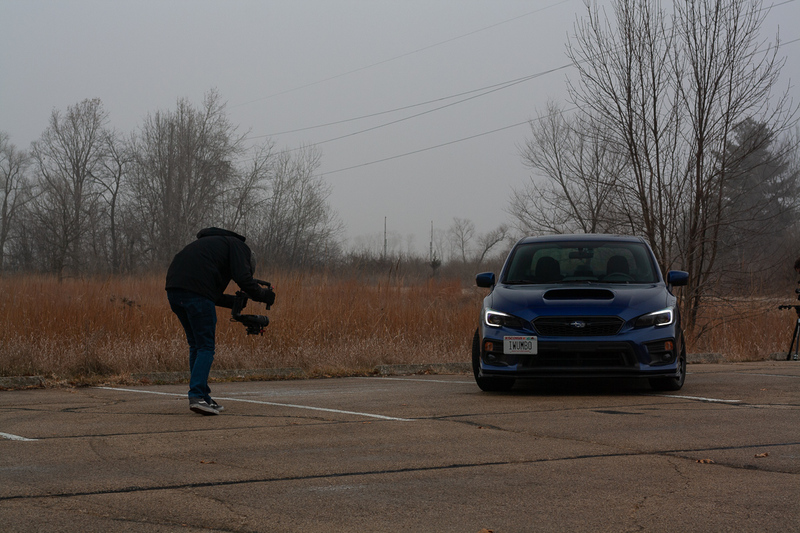 Chris and Will were a ton of fun to film with, and I learned a lot about car photography/filming! 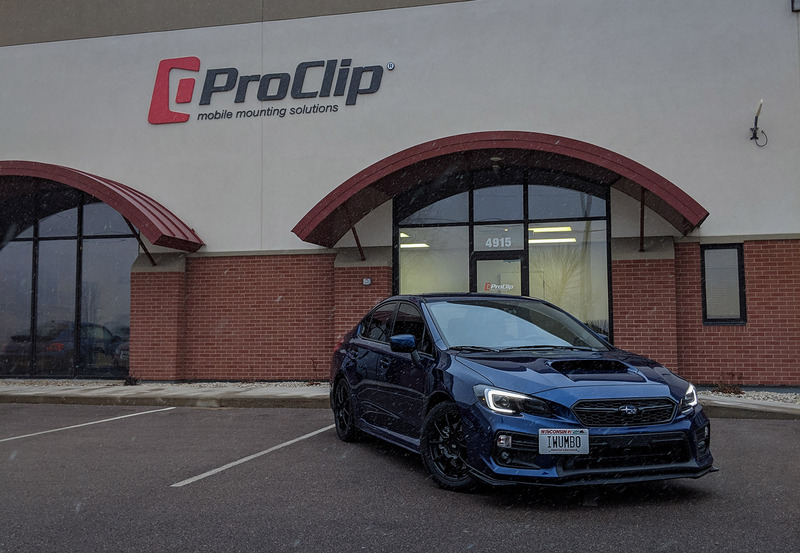 I can’t thank Cody and everyone at ProClip USA enough for the invite and the hospitality. If you’re ever in the Madison area, be sure to hit them up!